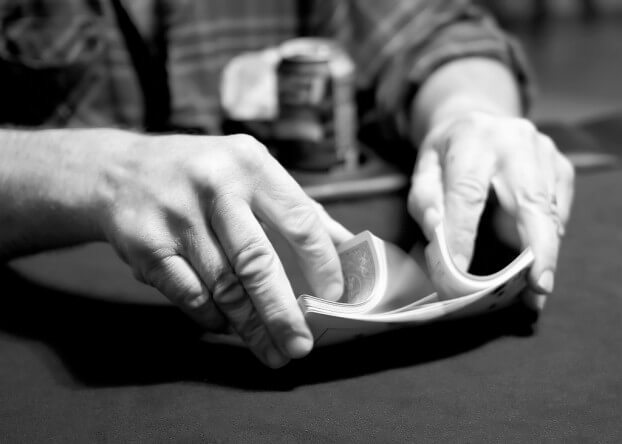 Poker is a game that encourages you to learn and use a wide variety of skills. You will soon realize that the best players aren’t just those who have memorized the rules of the game. They have also mastered their own approach to it. Of course, once you have a good range of poker skills they will also stand you in good stead in other games as well. So which games can you expect to put your abilities to good use in? It is essential to have a good memory to play poker. Having this skill lets you understand the game, and also get to know what each player is likely to do in each situation. You can also try to remember what the best move is in any given situation. Bennett Onika highlights this in his book, “Unleash Your Hidden Poker Memory”. With blackjack, a strong memory will also allow you to understand your chances of winning on each hand. Should you stand or hit depending upon the recommended strategy for the cards that have been dealt so far? You also need to take into account the rules on different variants such as European, American, and pirate 21 blackjack. A great poker player will be able to effortlessly mix up their play according to the situation and who they are up against. Being highly unpredictable makes it more difficult for others to work out what you are going to do at any time. In roulette, this variety is mainly needed for the strategy that you choose. It can make sense to switch between flat betting, the Martingale system, the Labouchere strategy, whether you are in a land casino or playing online. For instance, when you play live roulette at William Hill, as the game is played by a real dealer, strategies can apply as you’re not relying on technology to choose and display numbers – the game is still fundamentally about chance. Playing slot games online is now an incredibly popular hobby. Big-name developers such as Microgaming and NetEnt have produced thrilling titles like Asgardian Stones, Archangels, and Sidewinder in recent times. These new slots all have interesting themes, lots of features, and cutting-edge technology. Self-control is required on here, as it is when playing poker. It is easy to get carried away and over-stretch when a giant jackpot is available. You need to stay calm and stick to your plan. It should be noted that the American Psychological Association states that repeated practice doesn’t generally improve self-control. One of the greatest things that poker will teach you is to keep a cool head even in the most pressurized situation. If there is a lot of money on the line then you need to think clearly and do the right thing. Rushing in and acting on an impulse is likely to end badly in any sort of game. This ability will be incredibly useful to you in all games from now on. Whether it is based on skill or luck, you will find that there are plenty of moments in which you have to take a deep breath before making your next move. The skills you pick up playing poker will give you a head-start in other games. It is then up to you how you use these abilities to increase your advantage.